Home » Forex » Forex trading tips » Investment » Trading » How Hard is Forex Trading? How Hard is Forex Trading? If you like to keep abreast of finance and investment tips, then you’ve probably seen quite a lot about the world of forex, and how the markets can be used to make money. The problem for many people is that they’ve no idea whether they’ll actually be able to make a success of themselves, or whether they’ll end up losing money. Is forex really that hard, or can anyone do it? The short answer in a way is that it is both difficult, but anyone can do it. You don’t necessarily need lots of special skills or experience, or a particularly mathematical mind to do well. Most success simply comes through learning and gaining new knowledge. This is free to anyone, as all the information you could ever need is readily available on the internet, and just takes time and a willingness to learn. There are loads of free demos available from places like the Oanda Academy. What makes forex hard is that there’s quite a lot to think about at any given time, and things can be tight. There’s often a very narrow gap between success and failure; usually down to the time you’ve entered or exited the market. There’s very little hand-holding too, so you really need to be sure of what you’re doing. The concept is quite a simple one. You want to be buying an asset when you think it’s going to go up in value, and sell them when you think the reverse is true. Where it gets complicated is in exactly how you decide which direction things are going to move in. This is done by analysing all manner of things, which is the bulk of what you’ll need to learn before you can trade. Some people will do extensive research into the health of a particular currency or industry in order to work out what they’re going to do, where others will simply watch price charts and identify patterns that signal what is about to happen. To conclude, forex is not easy, and there are plenty of associated risks, but anyone who is willing to put in the time and effort to learn can certainly give things a go. 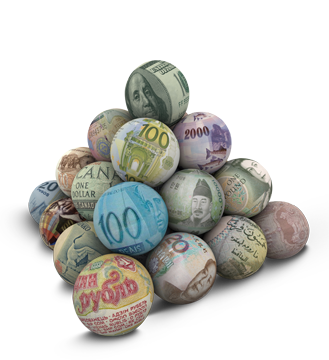 With the increasing number of online brokers offering very small accounts, just about anyone will be able to speculate on the price of foreign currencies.